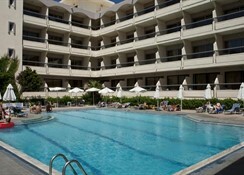 Lomeniz is a three-star property located in Rhodes town on a sandy coast of Mediterranean Sea. The hotel offers all-inclusive, bed and breakfast and half-board accommodations for guests of all ages. All 205 guestrooms are divided into single, double, triple and quadruple studios. 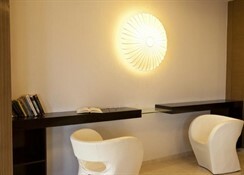 The rooms are tastefully decorated with select combinations colours which make you feel warm and welcome. All rooms come fitted with amenities such as air conditioning, private bathroom, refrigerator, television, radio, etc. 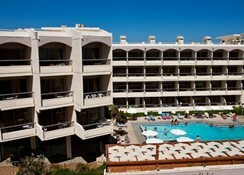 Majority of rooms have a balcony overlooking Mediterranean Sea with an option of double or twin beds. A few facilities like internet access, safe box, etc. are chargeable locally. Food is served in buffet restaurant with a variety of cuisines including local and international items. A poolside bar serves drinks, light snacks and beverages, while the lounge bar and café has alcoholic and non-alcoholic beverages, light snacks with rich and fragrant coffee on the menu. The close proximity to beach makes Lomeniz an ideal spot for water sports lovers. 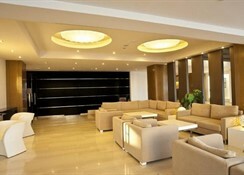 In addition, outdoor swimming pool, games room and billiards, etc. are also available on site. However, you can explore the nearby areas by renting a bike and following the well-worn trail, go for horseback riding or fishing. Alternatively, take a bus ride and visit the places around the city. There are plenty sights in the vicinity or a few kilometres away from the property which you might want to visit. There is a mini-market available on site. 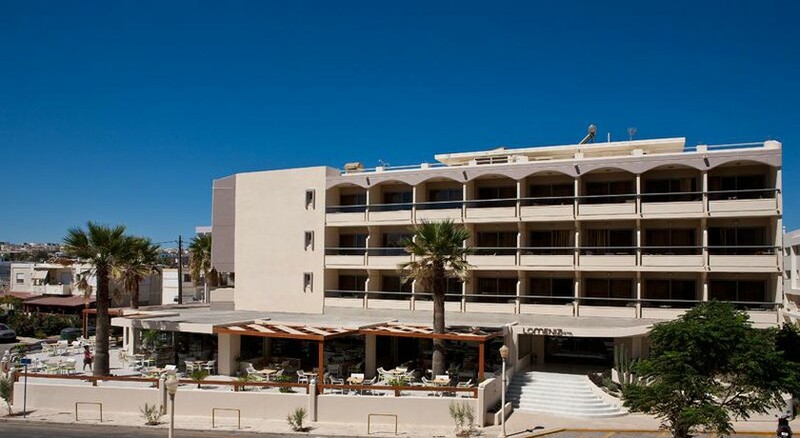 This hotel is situated at Zefyros beach about 21 km away from Rhodes airport. The sandy beach covered with sunbeds and parasols is at walking distance from the hotel. Rhodes (2 km) is known for its old architecture and lively nightlife. There are plenty shops and markets in the town square along with bars, cafes, restaurants and night clubs. Other interesting places worth visiting include Palace of the Grand Master of the Knights of Rhodes (3 km), Fort of St. Nicholas and Mandraki Harbour (4 km), Monastery of Filerimos, (17 km), Ancient Olympic Stadium, (3 km), Panagia tou Kastrou (3 km), Eli Beach (5 km), etc.